Help BAARK give a new beginning to the many dogs in dire need of help by making a donation today! 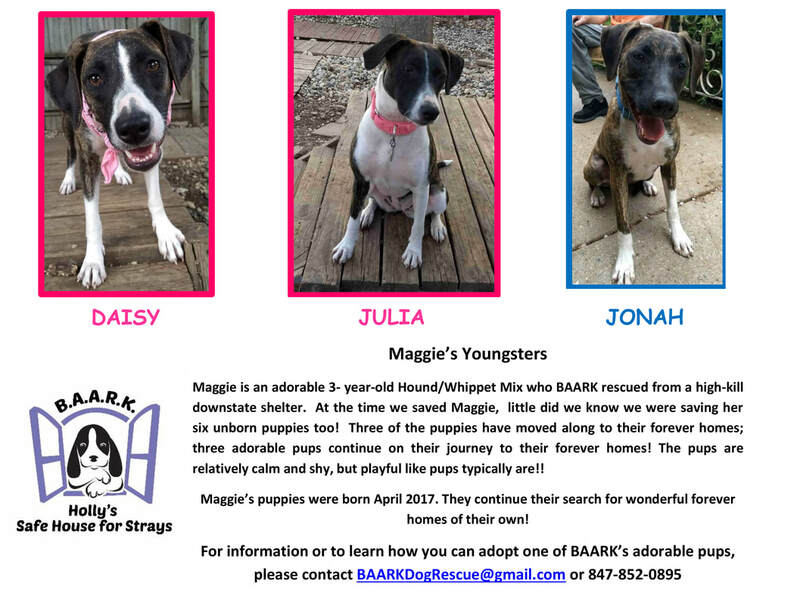 Barrington Area Animal Rescue & Kennels NFP (B.A.A.R.K.) is an all-volunteer, foster-based Dog Rescue, serving the Chicago area. The Organization’s primary location is Barrington Hills Illinois, with a secondary satellite in Naperville Illinois.